You'll be £4.99 closer to your next £10.00 credit when you purchase Tracing Your Pauper Ancestors. What's this? Often when researching our family history we find an ancestor has been on poor relief in a union or workhouse. This author explains the progress of the Poor Laws that have been passed over the centuries in an attempt to alleviate poverty. Then, as now, the belied was that the certainty of obtaining relief encourages the labourer to rely on the poor rate instead of working. the charities and public institutions struggled to cope and tried to direct any monies to those who were unfit and most needy. Included is a practical guide to what poverty records survive and where to find them. 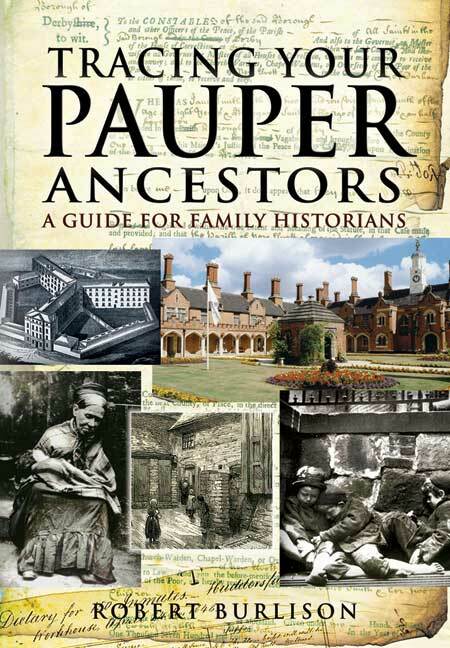 The book is well written and will help researchers trace their pauper ancestors. I found this book in my local library when they put on a display for Family History researchers and it is a gem. The historical detail is fascinating and I'm sorry that the title focuses it so much on family history because it should be required reading on any social history course. The writing is clear and interesting. Despite being full of detail about various acts of Parliament and Poor Laws it is never dry or indigestible. There is plenty about the move from an agricultural to an industrial society and what this means of the poor. AND it manages to give real insight into the rise of the modern Welfare State. ALL this alongside information for researchers about where and how to access information which can lead to a knowledge of our poorer ancestors.